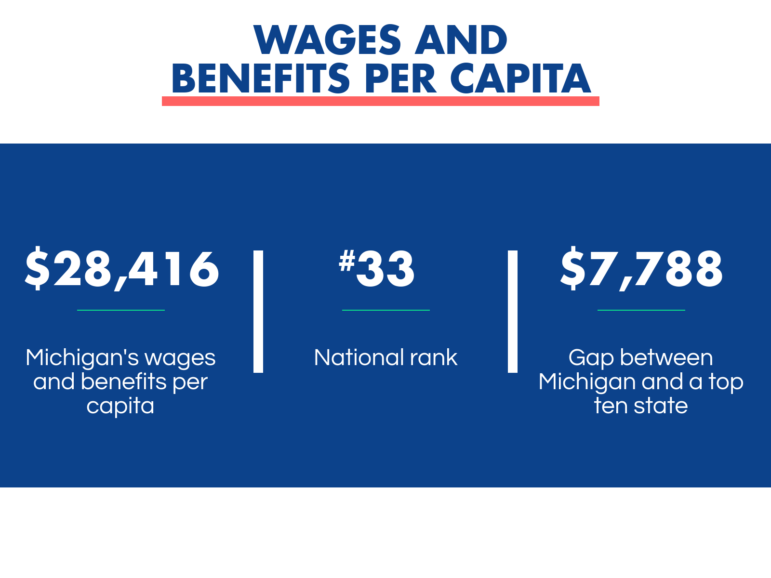 The economic well-being of Michiganders is getting worse: Part 1 - Michigan Future Inc.
At Michigan Future, our goal is prosperity for all Michigan families. That doesn’t mean just a high GDP or low unemployment. We all know there are plenty of jobs that don’t pay well, and plenty of people working multiple jobs and barely hanging in there. We put together this set of infographics (you can download the complete set of graphics as a powerpoint at this link) to help tell the story. Today I will explain the first half of the slides, and on Thursday I’ll explain the second set. 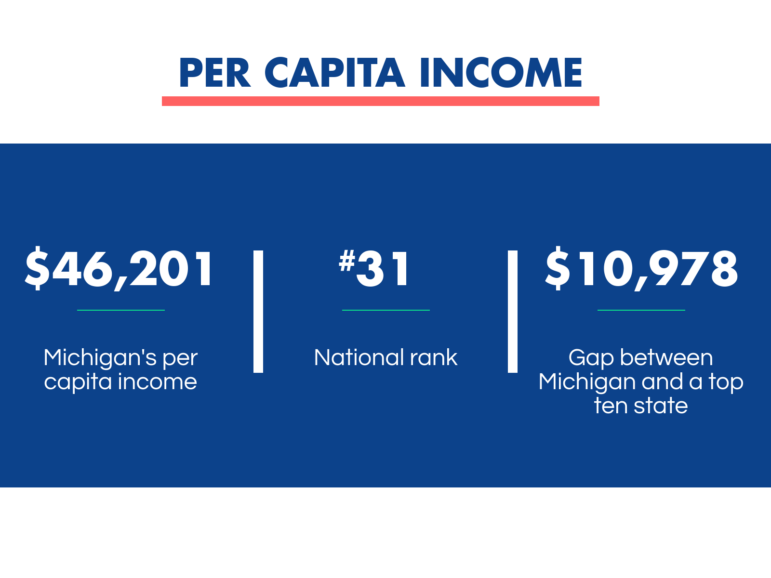 Michigan has dropped to 31st in the nation on a vital figure: per capita income. The states who are in the top ten (that aren’t relying on energy) are states where a much larger proportion of the population has a bachelor’s degree or higher. In a number of these states, the percentage of adult population with a BA+ is nearing or exceeding 40 percent. If Michigan’s residents made as much per capita as the residents of the tenth-ranked state overall, we’d all have an additional $11,000 a year. Imagine that! 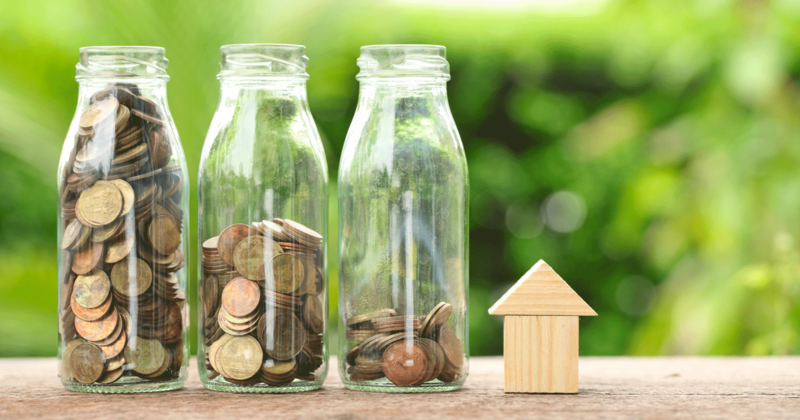 The next important number is earned income, which is the portion of per capita income that comes from wages and employer-paid benefits (it includes self-employment income). 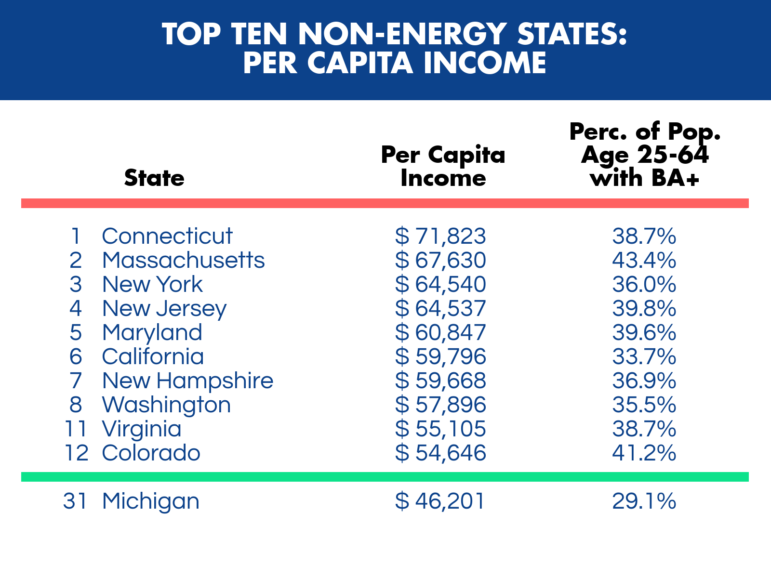 Michigan does even worse–we’re ranked 33rd–in terms of earned income. There are a number of causes, but primarily, the wages of work here are too low (we have an economy with a growing number of low-wage jobs) and not enough people are working. 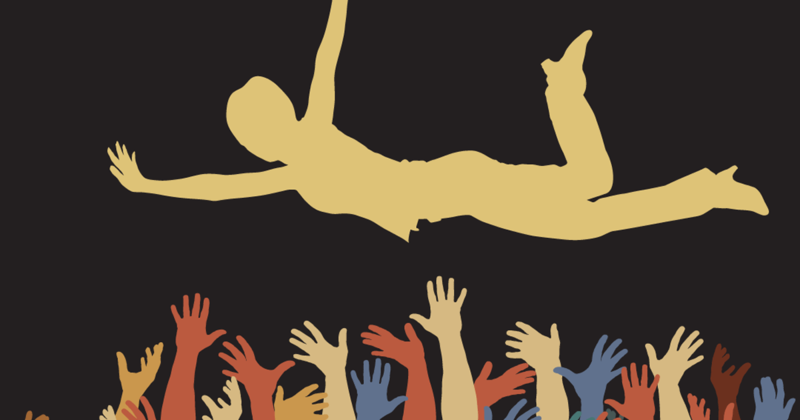 Many have dropped out of the labor force entirely (which is why the unemployment numbers can still look good). Which brings us to our next slide. We do even worse in the rankings here. Only 57.8 percent of Michigan adults of working age are in the labor force. 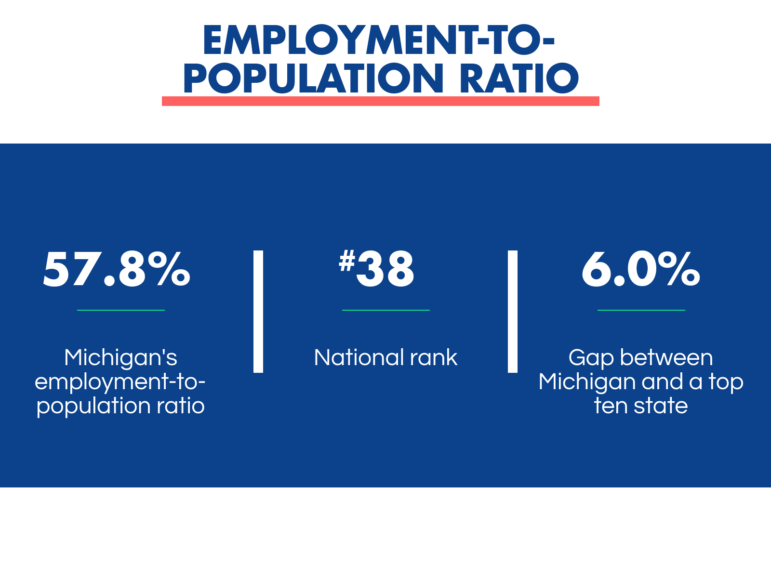 If we had the same employment ratio as the tenth-ranked state, 483,150 additional Michigan residents 16 and up would be working today. That’s… a lot of people. Yet the percentage point gap between Michigan and the tenth ranked state is even greater for the proportion of people who would have at least a bachelor’s degree. 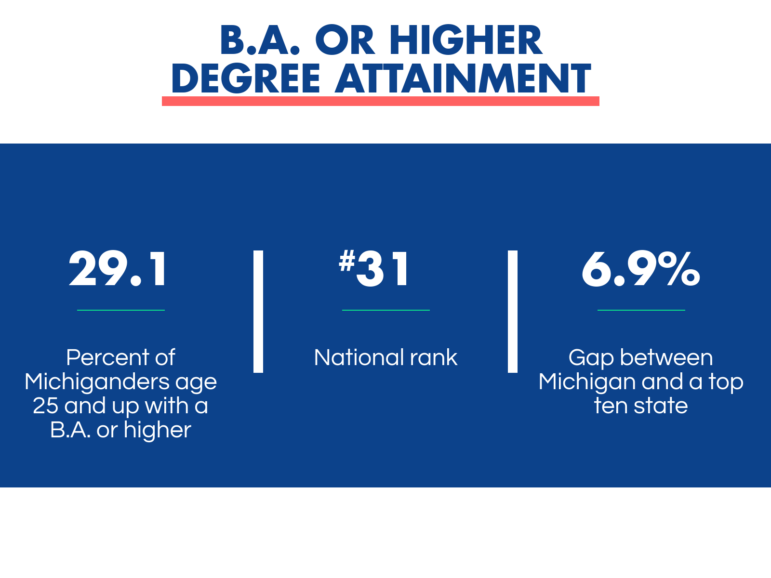 29.1 percent of Michigan adults 25 or older have a BA or advanced degree. We would have around 470,532 people more qualified for high-wage work, by way of having a college degree, if we had the same rate of college degree attainment as the tenth state in the nation. Again, in some states, more than 40 percent of adults have a college degree, giving them vastly more earning power. Lou wrote about the growing premium of a college degree just last week. As you can see, these indicators tell a scary story. Not enough of us work; too many of those who do are earning low wages, and not enough of us have the education needed to qualify for higher-wage jobs. This is a major challenge for our state. On Thursday, I’ll share an explanation of the last few slides in this set of data, which explore the relationship between education and wages. Feel free to preview the entire set by downloading the full powerpoint. Data in this post comes from Bureau of Economic Analysis and American Community Survey, both 2017 data. 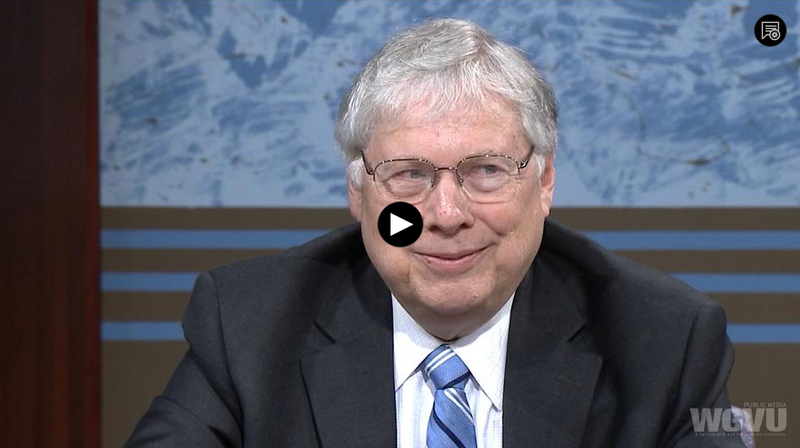 Data analysis by Don Grimes for Michigan Future.